OMG! I can’t believe it took me this long to make this Gorgeous Gluten Free Gnocchi. I never even considered my original recipe would work with Gluten Free flour but the results were magical! For those of you who have not heard of Gnocchi, this will be your new staple in your gluten free household. 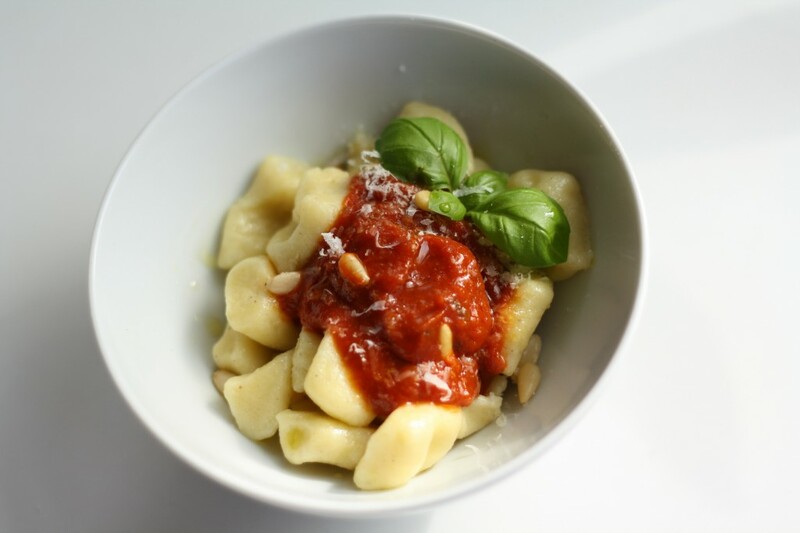 A sort of pasta for potato lovers – these are small Italian dumplings usually made from potato, flour (traditionally buckwheat flour) and egg and shaped into small ovals with a ridged pattern on one side. 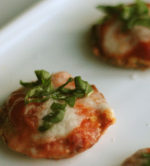 It screams comfort food and is so easy to make. If you can master the base recipe, you can make all sorts of versions. Trust me, I’ll be modifying this a few times on this website to tantalize the tastebuds. Gnocchi are often poached and then served with an italian type sauce or butter. I love to pan fry them in olive oil and a bit of butter once poached, to give them a nice crunchy coating while keeping them fluffy and moist on the inside. Salt and pepper and your seasoning of choice (nutmeg, paprika, italian seasoning, thyme etc). About 1/4 cup grated parmesan (I love the flavour of the added parmesan but if you want to go dairy free, this can be omitted without a problem). Peel and boil potato until cooked through. While hot, rice the potato or run it through a food mill or potato ricer. Let cool. For every cup of riced potato, add one egg yolk, about 1/4 cup of gluten free flour and 1/4 cup grated good quality parmesan. Season with desired spices. Work into a firm, but not over firm ball. Just enough to ensure it does not fall apart when rolling and boiling. Roll into 1 cm wide tubes, about the size of a small cigar. With a knife or pastry cutter, cut into about 1 inch pieces. Hold each end with two fingers and gently press the centre with your index finer to make a small dent. This will help hold whatever sauce you pour on your gnocchi. Bring a fresh pot of cold salted water to a boil. Add gnocchi and cook for about one minute – just until they float. Be sure not to overcook as they can become quickly mushy. Drain, season with a bit more salt and toss in olive oil. Serve immediately with your favourite sauce. For a little extra indulgence, pan fry the gnocchi in a hot frying pan with butter and extra virgin olive oil. Serve under a bed of melted cheddar cheese, bacon, fried onions and sour cream.